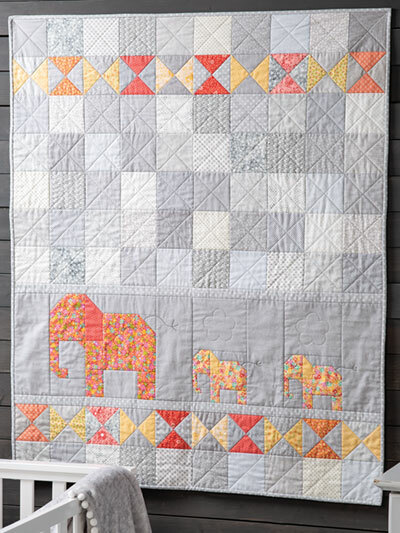 Make this sweet baby quilt with lots of scrappy patchwork. 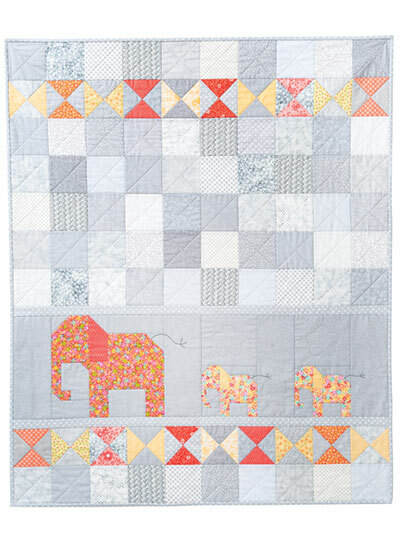 Baby elephants trailing their mother create a charming scene in this baby quilt. 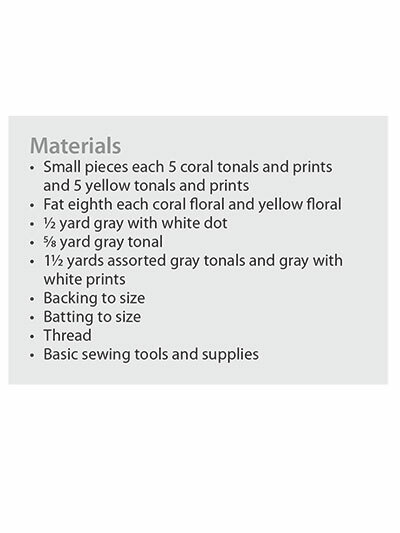 Finished size: 40" x 49".